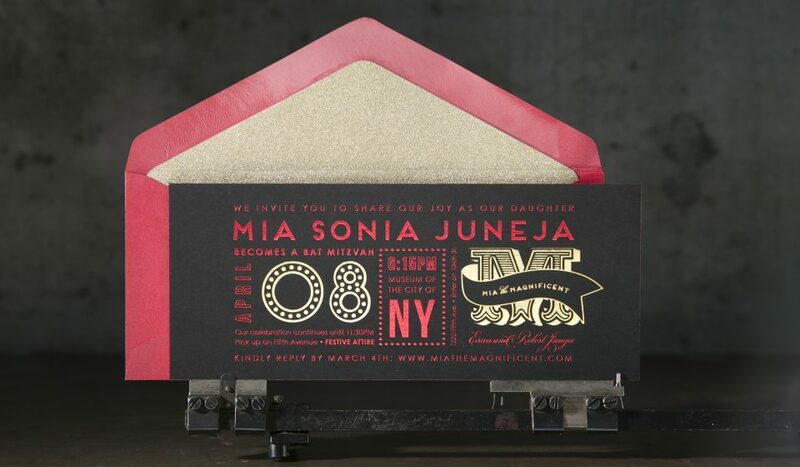 Custom red and gold foil stamped Bat Mitzvah invitations. foil stamping. Ebony Black Colorplan 540 gsm duplexed after foil stamping to create 1080 gsm. 2 foil colors (gold shine and red shine). 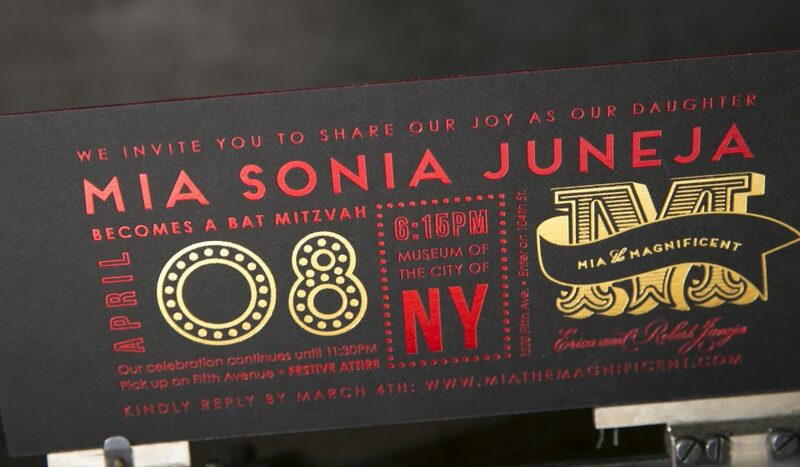 the foil stamped Bat Mitzvah invitations (3.75″ x 9.25″). 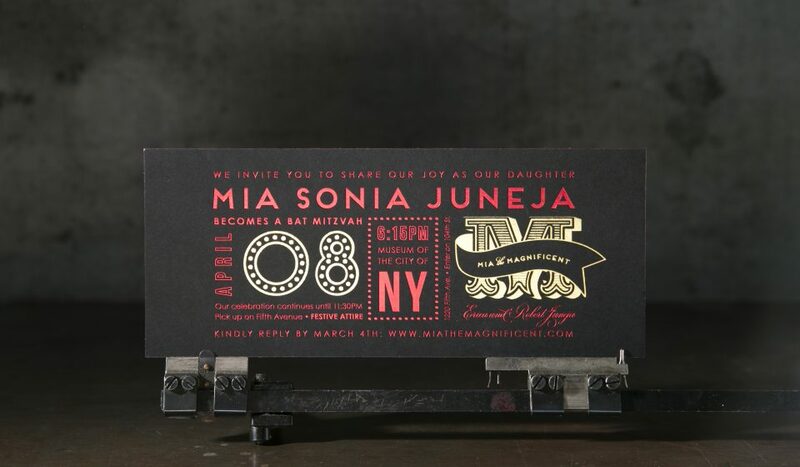 Alexandra worked with us in advance to make sure the custom design she was creating for Mia’s Bat Mitzvah would work well with foil stamping, and the adjustments she made really paid off. 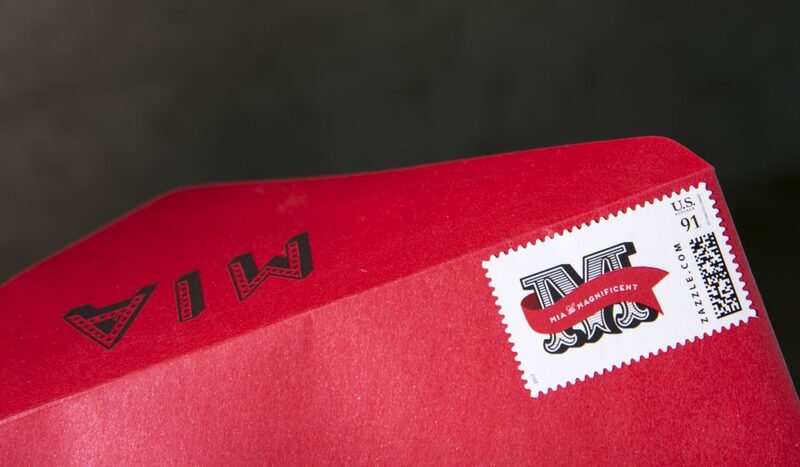 After we printed the invitations, we duplexed the 200# cover piece to create an ultra thick, 400# invitation that we finished with a red shine foil edge. 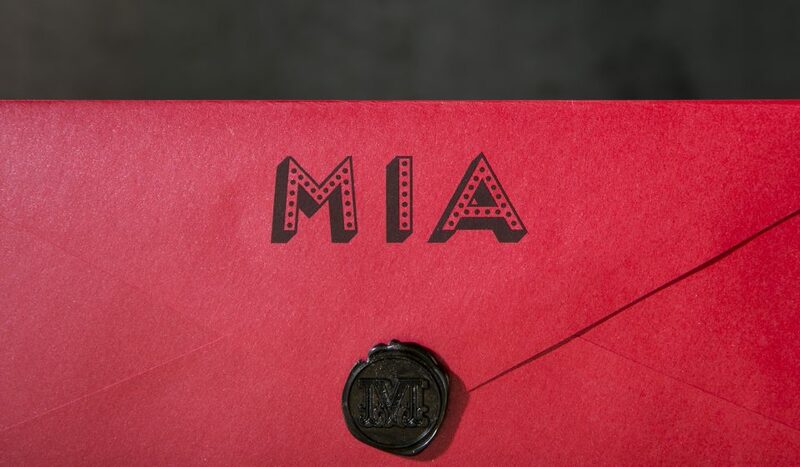 Alexandra created a custom lined #10 envelope with coordinating postage stamps and wax seals to complete the set.